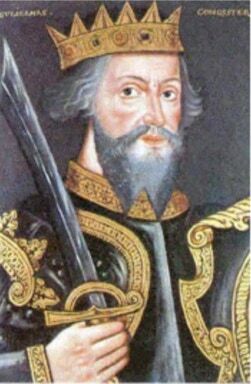 William the Conquerer’s officials completed the Domesday Book, a complete list of everything that was in his kingdom. Myton (then called Muitone) was described as a large village with smallholdings and mills for grinding corn. The Domesday Book registered the land at Myton as having been given to the Count of Meulan, Roger de Beaumont by King William 1st as a reward for the 60 ships he supplied in 1066 for the Norman Invasion of England. Records show that there were large open fields (unhedged) at Myton, probably practising a four year crop rotation. Not much changed for several centuries for these fields were probably not enclosed until the 18th century. It is hard to imagine now that this are was once open fields. The villagers of Myton rioted against the payment of tithes. When the constables arrived from Warwick (via the old bridge close to the castle wall) to restore order the rioters barricaded themselves in a barn. The constables breached the walls of the barn and turned the rioters out, bringing the disturbance to an end. A fine Victorian residence called Myton Grange was built. Myton Hospice now stand on the original site but the Lodge house (built in 1883) where Myton Lane meets Myton Road is still occupied. We have the Grange to thank for the building of Myton Pool and the three stone bridges which we have repaired and can all still enjoy. 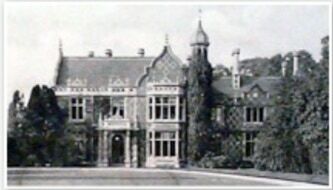 In the 1930s Myton Grange was sold and converted into a residential home for 30 boys and 28 girls but was later demolished. Later in the 20th century Myton Hospice was built and this was followed by the surrounding residential developments. Do you have more information on the history of this area or any old photographs? Please get in touch. We would love to hear from you!